The southern hemisphere Samhain is very close now and the veils are thinning. I attended a weekend retreat with my Dark Moon circle, held over the last 2 1/2 days. On the night of the Full Moon in Scorpio, with a partial lunar eclipse — 26th April — we called in the Dragons to bless, cleanse and sanctify our circle then performed a ritual to honour our ancestors and give thanks to those who have gone before us, including the fallen in war (ANZAC Day is 25th April). On the following night we again formed our circle around the warmth of the firepit and conducted a powerful ritual to honour Taimat and Apsu which included a meditation plus Drawing Down the Moon and taking turns to gaze into the scrying bowl as it was passed around the circle. …I handed the scrying bowl to the next person. Much later in the evening, long after our ritual was over, there were only a few of us left around the firepit. I took up the scrying bowl and slowly tipped out the water around the perimeter of the fire, circling almost two times before the bowl was empty. The hot coals hissed and steamed as Fire and Water blended and the magic of the scrying waters was released into the Air and into the Earth. 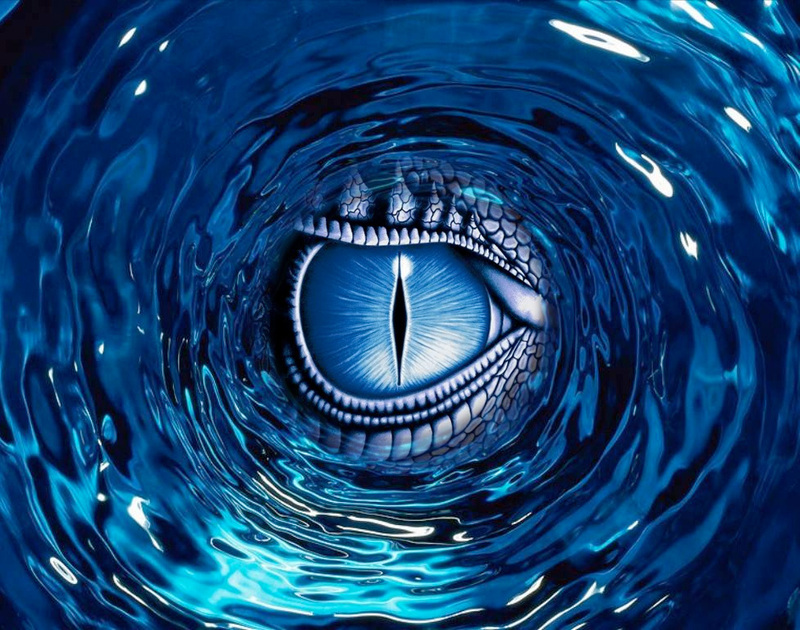 Image created by TopazDragon using dragon eye found here and whirlpool found here. This entry was posted in Magickal, Mystical Moments & Draconic Synchronicities and tagged Apsu, dragon's eye, Samhain, Scorpio full moon, scrying bowl, Tiamat, whirlpool.